Also known as Eczema, atopic dermatitis is a common skin disease in children. 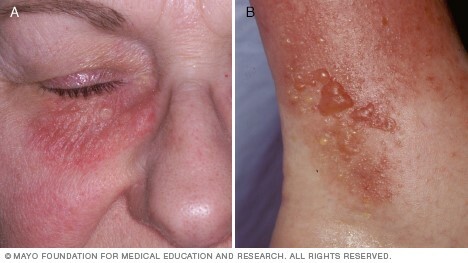 It is rare for adults to develop atopic dermatitis. 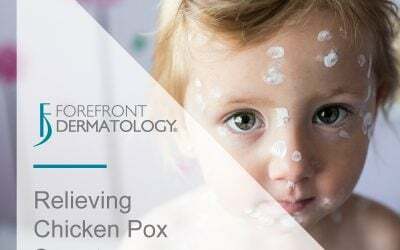 According to the American Academy of Dermatology, 90% of people get atopic dermatitis before the age of 5. About 50% of people who get atopic dermatitis during childhood continue to have milder signs as an adult. If a child gets atopic dermatitis, it will show as dry and scaly patches, often located on the scalp, forehead and face. 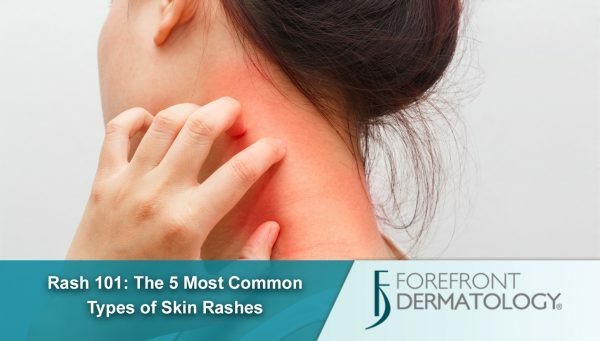 This type of rash is extremely itchy, but scratching can lead to skin infection. 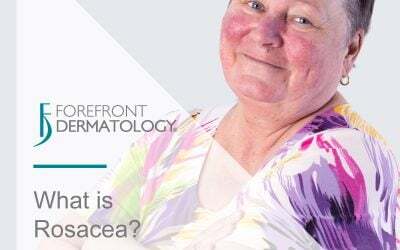 While treatment for atopic dermatitis cannot cure it, it can control it. 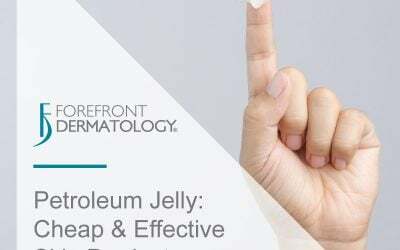 Your local Forefront Dermatologist will work with you to create a treatment plan that often includes medicine, skincare and lifestyle changes. Another type of dermatitis is allergic contact dermatitis. Contact dermatitis occurs when you come in contact with something that causes a reaction in the form of a rash. Common causes of contact dermatitis include poison ivy, nickel and rubber. Symptoms of contact dermatitis rarely appear on contact; it may take a few days for your skin to react. Signs of contact dermatitis include itchy, red, swollen skin, and oftentimes fluid-filled blisters. For mild reactions, avoiding the allergen allows the rash to clear. 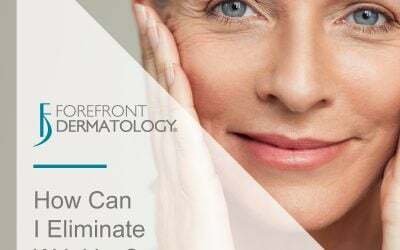 For severe cases, please see your local Forefront Dermatologist for help. The interesting fact about shingles is that anyone who has ever had chickenpox is susceptible to getting shingles. After chickenpox clears, the shingles virus stays in the body. If that virus is ever reactivated, the result is shingles. Unlike chickenpox where itching is common, pain is the common symptom with shingles. A shingles rash typically appears in groups of clear blisters and typically last 2 to 3 weeks. 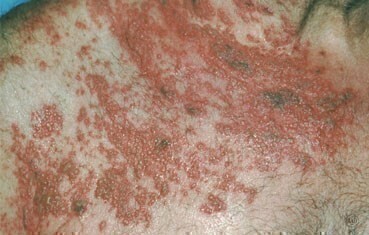 Shingles is most common in older adults. For individuals over the age of 50 there is a vaccine available that reduces the risk of developing shingles by 51 percent. Common in spring and summer is swimmer’s itch. 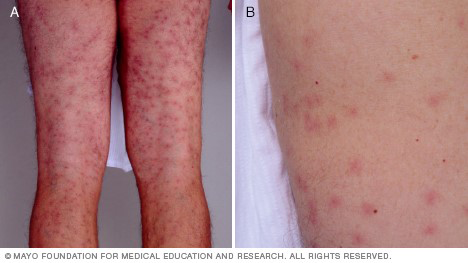 Swimmer’s itch, also known as cercarial dermatitis, is a rash that occurs after swimming in freshwater lakes or ponds. The rash is caused by an inflammatory reaction to microscopic parasites that originated with waterfowl. These parasites are released into the water when the bird lands in the water. Swimmer’s itch typically appears as reddish pimples or small blisters, with the skin usually feeling tingly, burning or itchy. Swimmer’s itch is not contagious and can be easily treated with corticosteroid creams. If itching is severe, please see your local Forefront Dermatologist for a treatment plan. Pityriasis rosea, also known as the Christmas tree rash, most often occurs in the spring and fall. This common skin disease causes patches on the skin, typically starting with a larger patch, the mother “herald” patch, and spreading as smaller patches, daughter patches. 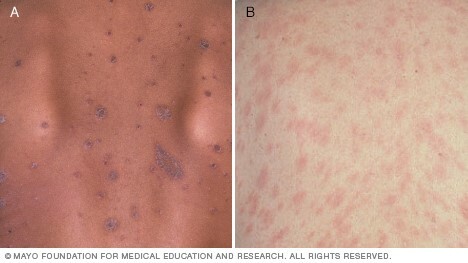 Pityriasis rosea is typically seen in adolescents and young adults and is uncommon for those over 60 years old. 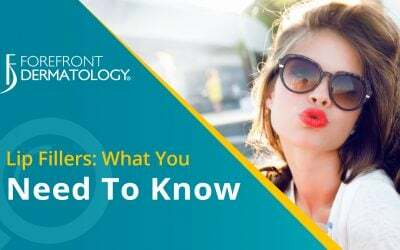 The cause of pityriasis rosea is still unknown, but research shows it is not caused by an allergy, fungi or bacteria. It usually goes away without treatment, but rashes can last 6 to 8 weeks. If itching becomes unbearable, schedule an appointment with your local Forefront Dermatologist for a treatment plan. 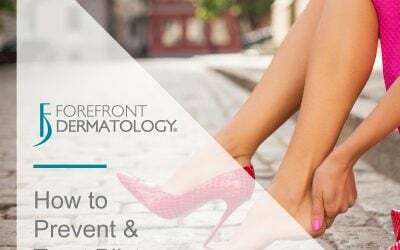 If you have concerns about the health or appearance of your skin, schedule a visit with your local Forefront board-certified dermatologist or esthetician to discuss how we can help.